Sounds a little “out there”, right? 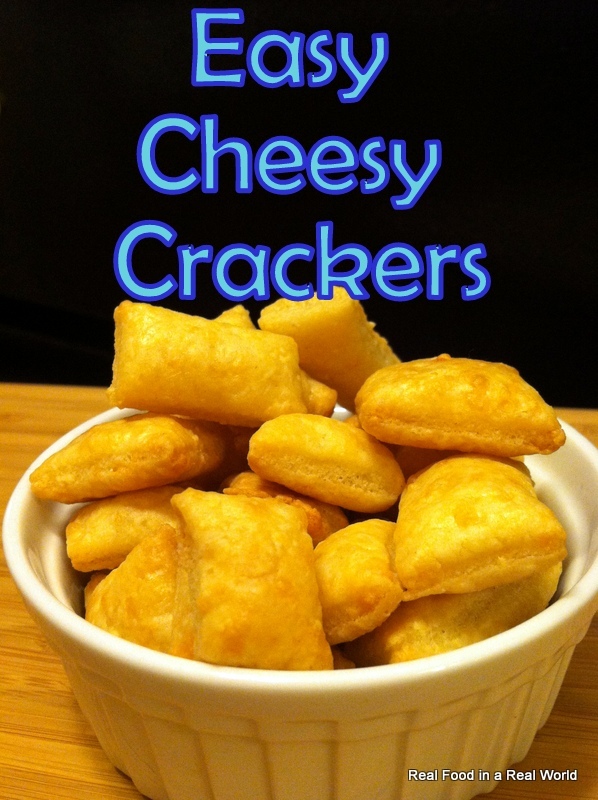 Making your own crackers? It’s actually not difficult! If you have a food processor it will take you no time at all. I don’t have a food processor, and I still make these quite often. Now, of all the processed food in the world, this isn’t that bad. There are only a few questionable ingredients (like some tasty TBHQ). 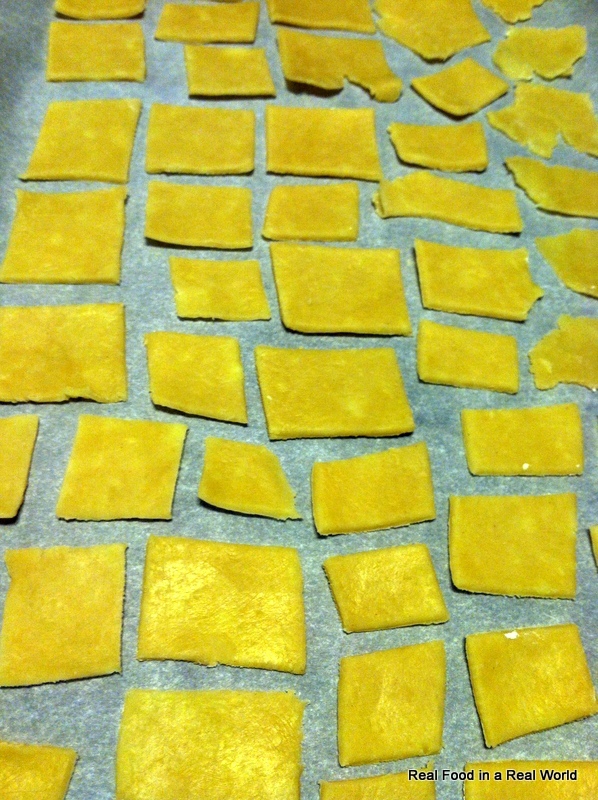 In our quest to stay away from the supermarket, I decided to try out making our own crackers (especially for local toddler, who was really into goldfish crackers). I adapted this recipe from Tasty Kitchen. If you want to learn how to make them adorable and fish shaped, check out that link. If you want to see the quick and easy way, I will show you how they get made in the Real Food kitchen. 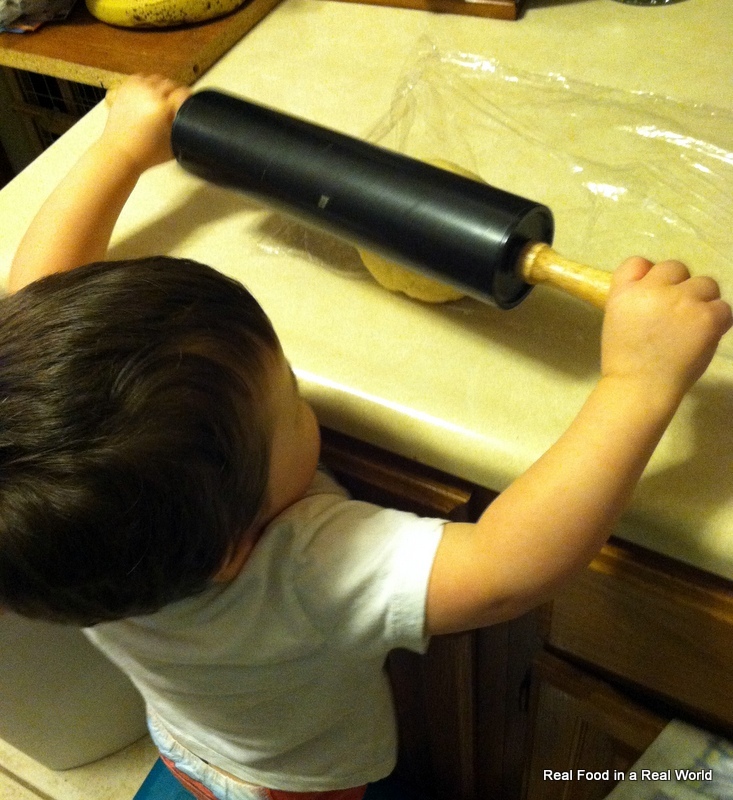 First, shred the cheese. 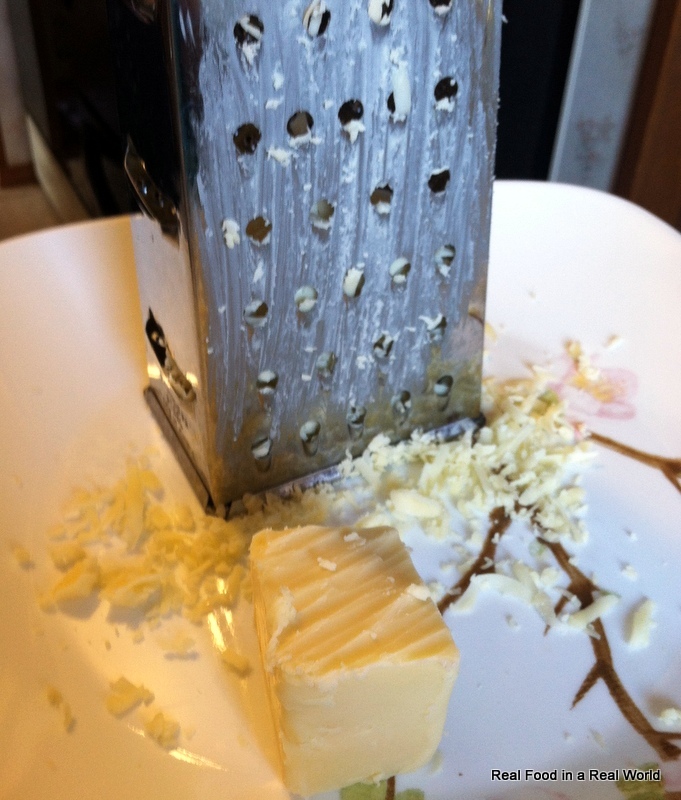 I usually buy blocks of cheese, but if you have shredded you get to skip this step. This is cheddar, just not dyed orange like most cheddar. 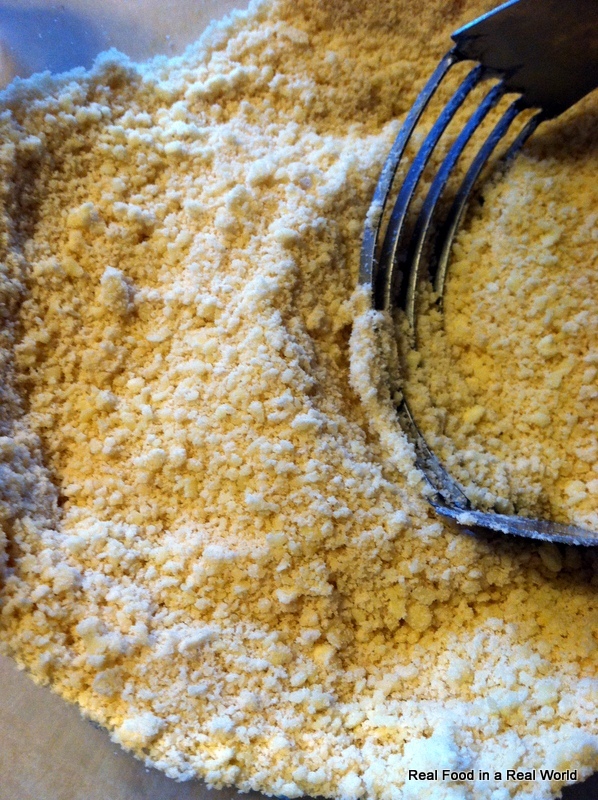 If you have a food processor, you will pulse together the cheese, butter and flour together until the mixture looks like coarse sand. If you don’t have a food processor (like me), get out your handy pastry blender and get to work. Add in water, 1 tablespoon at a time. 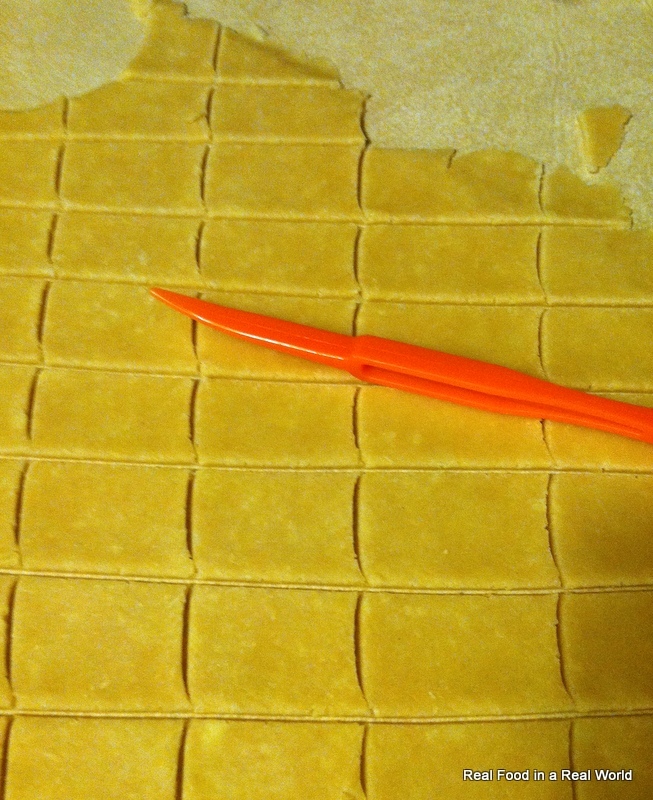 Place on a parchment paper lined cookie sheet and sprinkle lightly with salt. 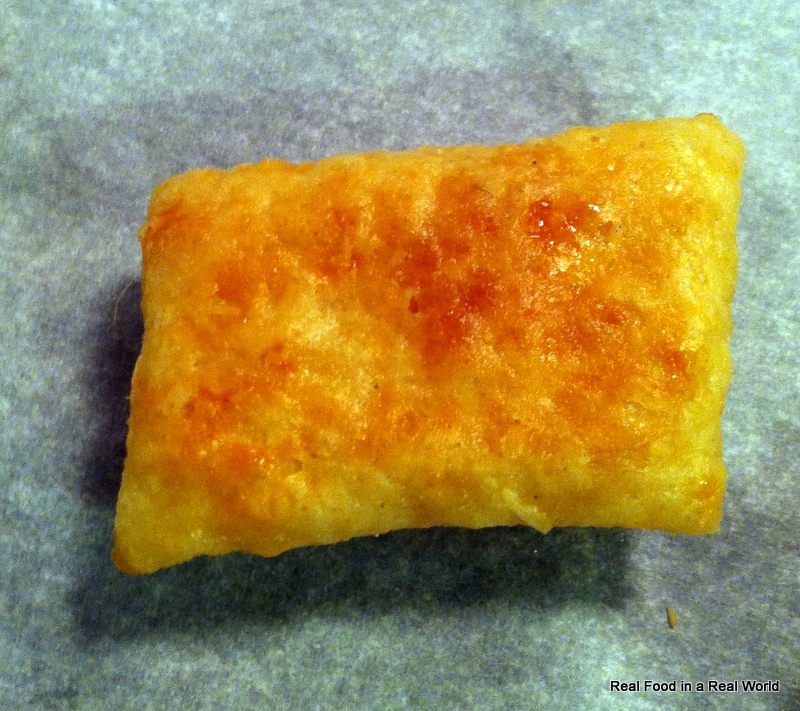 Roll the dough as thin as possible for a crispy cracker (more like a Cheez It or goldfish cracker). 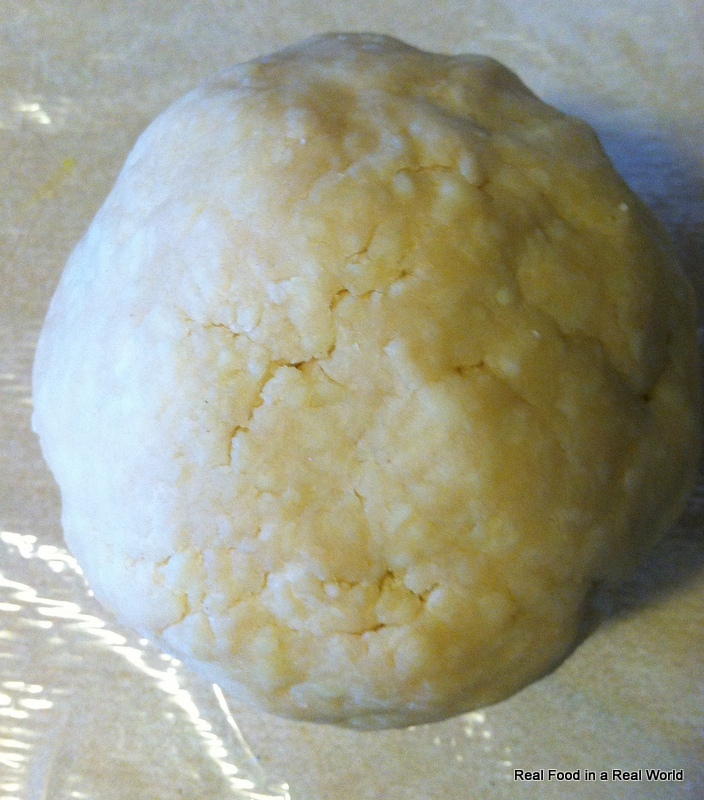 Slightly thicker dough will produce a more chewy cracker (my boys like them puffy and chewy).